Just because he’s the Man Without Fear doesn’t mean he can’t be thrown for a loop every once in a while. Matt Murdock is a powerful street level Super Hero with superhuman abilities...but at the end of the day, he’s just a human being. He can sometimes cheat death, but his real mettle is tested when he's forced to fight against something that goes beyond his earthbound comprehension and law degree. Will Daredevil rise to the occasion in this super-sized book—or will he fail in the face of the supernatural? Only time will tell, but to get you ready, we've recapped five moments when the sightless Man Without Fear had to fight a threat that was not of this Earth. 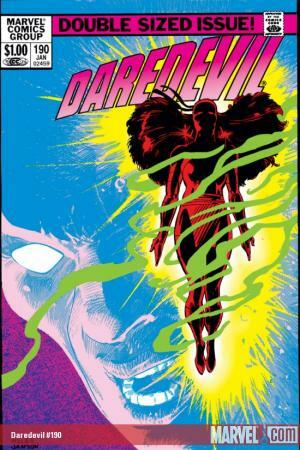 When the Hand planned to bring Elektra back to life with black magic, Daredevil was forced to turn to an unlikely ally, Kingpin, when it came to finding them. He was led to an abandoned church where the Hand had Elektra’s lifeless body lying on a stone slab, waiting for its resurrection. Daredevil crashed the party with a few friends and hoped to bring Elektra back through the power of love. While he failed in doing that, he was able to purge her of her evil, much to the surprise of the surrounding foes. 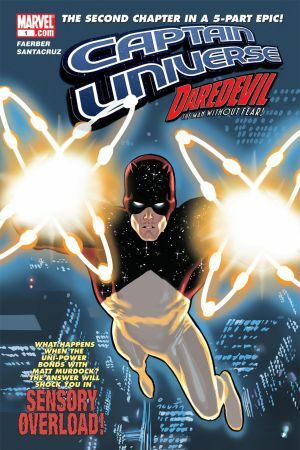 When the Uni-Power bonded with Matt Murdock, he was immediately granted the ability of sight, but almost fell victim to the sounds and sensations coming into his brain as Captain Universe. The Uni-Power attempted to try and introduce itself, but Matt told it to pipe down as he meditated, calmed down, and drowned all the harmful noises out. Even so, the amplified abilities that the Uni-Power granted were too overwhelming for Murdock, who actually asked it to leave his body during an ensuing run-in with a Super Villain. 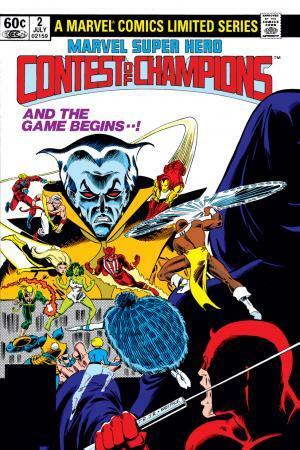 In 1982, 24 of the universe’s mightiest heroes were chosen by the Grandmaster and the Unknown to fight against each other. Sadly, this “Contest of Champions” pitted the extra-sensory abilities of Daredevil against the ancient and mystical punching power of Iron Fist. Murdock attempted to end the fight before either of them got hurt, but Iron Fist really wanted to win. Despite the fact that Daredevil’s radar senses were blocked, he was able to get the best of Iron Fist by tossing a freezing snowball into the K'un-Lun warrior’s face! After a crack in space-time opened under Manhattan, a host of demons began to take over New York City. Unfortunately, this was happening as Matt Murdock was in the hospital. The demons coming into the city took over Matt’s bedside medical machines, but he broke free and headed down into the subway tunnels to face the growing threat. Using the training and wisdom that Stick instilled in him, Daredevil won the day and saved numerous lives from a demon train. 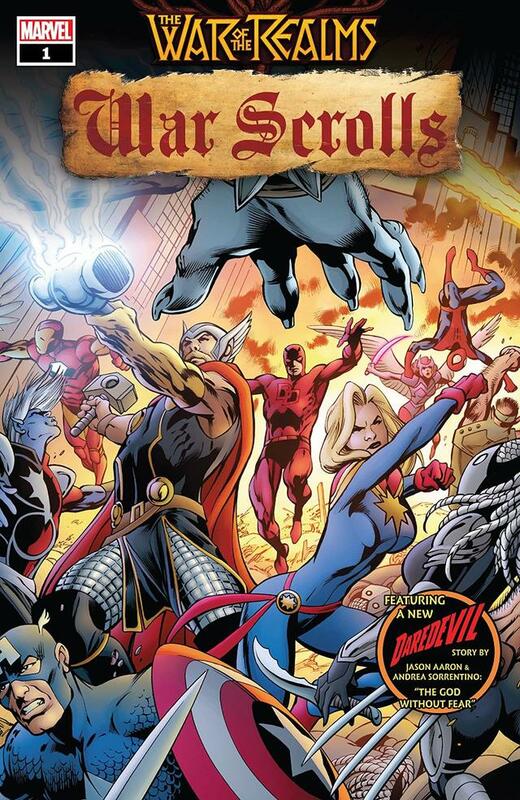 Remember that time Daredevil became leader of the Hand and possessed by a demon known as the Beast? We sure do. 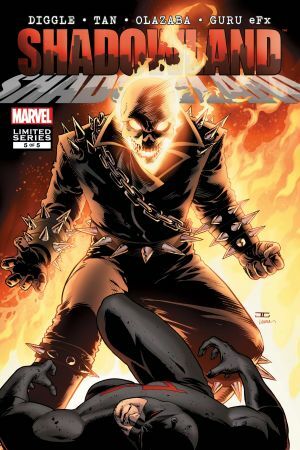 He became so evil and powerful that he absorbed all of Ghost Rider’s Hell-Fire, reducing the blazing hero to a steaming pile of bone and burnt leather. 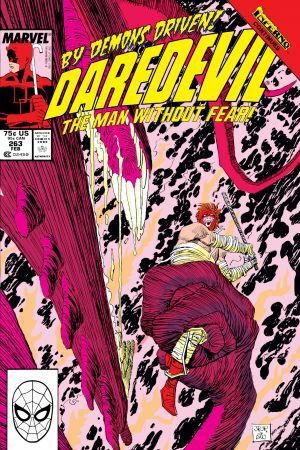 As the Beast tried to kill Daredevil’s friends like Foggy Nelson, Matt began to fight back against the supernatural being. A healthy punch of Chi from Iron Fist then woke Matt up for good, allowing him to expel the demon from his body once and for all. Pick up WAR OF THE REALMS: WAR SCROLLS #1 at your local comic shop today!